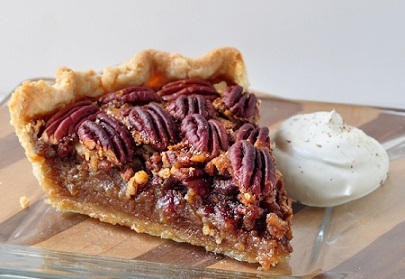 Bourbon Pecan Pie is a favorite restaurant dessert recipe, especially during the fall and winter holidays. Pecans and bourbon are a natural match. Good bourbon has a sweet, rich, mellow flavor that is excellent in many dishes, especially with sweet potatoes and pecans. Don't forget to serve this restaurant dessert with a dollop of whipped cream or if you want, Bourbon Whipped Cream. The recipe for the whipped cream is on this page as well. Preparation time: 30 minutes. Serves 6-8 depending on portion size. Spread pecan pieces over bottom of pie shell. Preparation time: 5 minutes. Makes enough to garnish pieces of pie. 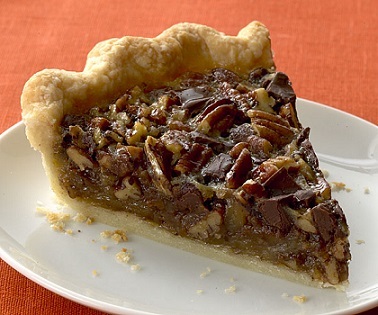 Enjoy the restaurant dessert recipe for Pecan Pie and the company of those you share it with! Enjoy all the restaurant recipes on the website. Did you know? 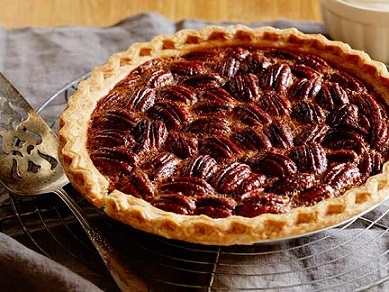 It takes about 77 pecans for one pecan pie and Georgia has been the top pecan producing state in the nation since the late 1800's.